As Europe reels from the coordinated bombing attacks by terrorists in Belgium, the civilized world continues to face the real challenges of fighting Islamic extremism whether it be on a battlefield or hiding and festering in a family neighborhood. Here in America, with investigations ongoing into ISIS in all 50 states, this new episode of “War Stories” goes deep inside the confrontation between moderate Muslims and the Islamic State’s extremist ideology. How is it really playing out on the battlefields in Iraqi Kurdistan? In an exclusive, the Chairman of the Joint Chiefs of Staff, General Joseph Dunford talks strategy with Oliver North. If boots are needed on the ground, whose feet will be in them? Are our allies doing enough in the fight against ISIS? With former Navy SEAL Leif Babin, we drill down into the dark web and social media to see how ISIS is leading on the cyber battlefield and what more needs to be done to prevent recruitment of their supporters from around the world. Babin goes inside the ISIS inspired attacks in San Bernardino, California with new details about the trail of the husband and wife terrorists who killed 14 people and wounded 22 others. Our hearts are broken by what happened in Paris. At the same time, this savage event prompts us to reflect on what is happening at home and abroad. In Canada, that has meant a renewed attention to the flood of refugees fleeing Iraq & Syria. In order to help the genuine refugees who need our help, we must conduct the proper security screening to protect our own security. Read Rev. El Shafie's article. 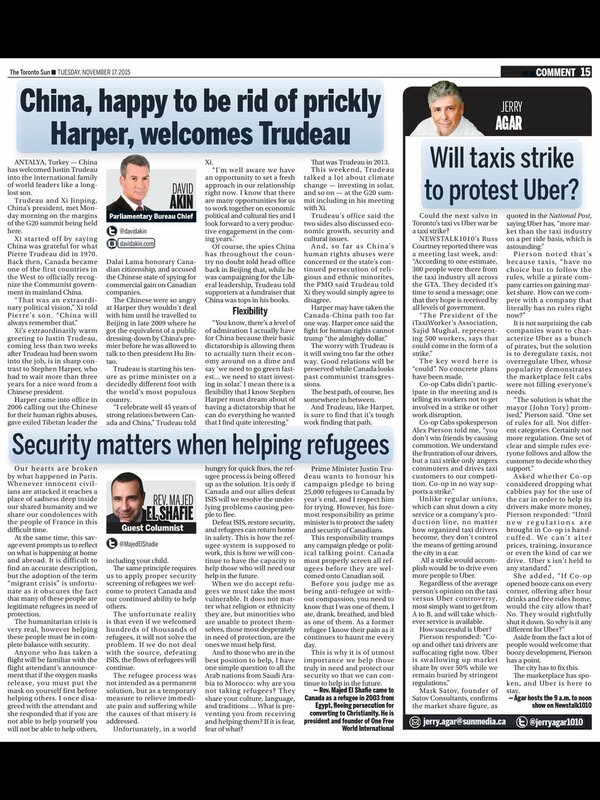 Write Prime Minister Trudeau & Immigration Minister McCallum to tell them not to rush the resettlement of refugees, do the proper security screening to protect Canadians and our ability to help. Be heard and write your Member of Parliament. Watch One Free World International Founder and President Rev. 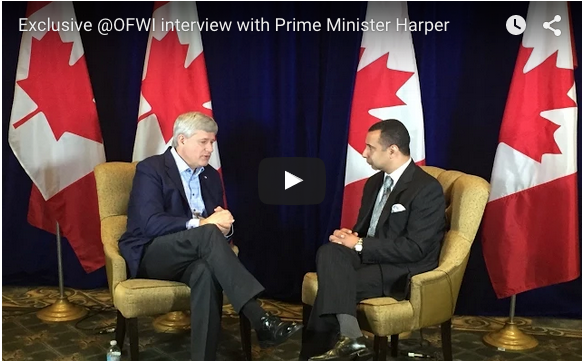 Majed El Shafie interview Prime Minister Stephen Harper in this OFWI exclusive as they talk about the refugee crisis, ISIS, and promoting religious freedom around the world. Be sure to check out One Free World International's YouTube Channel and subscribe to see future videos. With ISIS constantly in the news, what can someone living in the GTA do to help? Come to Candle on the Catwalk this Friday, August 28 and support children in Iraq displaced by ISIS. Women's World Development Group, a Branch of Minority Assist Foundation and Support Centre and One Free World International are teaming up with Mississauga based lingerie and swimwear label Sensuelle Et Chic for a charity fashion show this Friday night at the L’Azzurra Ballroom in Woodbridge. Attendees will hear accounts of the hardships displaced women and children in Iraq are facing and proceeds will help provide them with the basic necessities of life while the fight against ISIS rages on. You can get your $40 ticket from the Women's World Development Group by clicking here.